At the tender age of just 16, you’d be forgiven for casting off Bristol-born Lauren Aqulina as ‘just another YouTube wannabe’. But don’t be so sure. After having amassed over half a million total views on her YouTube channel with her stunning piano-driven covers of some tracks from artists as diverse as Cher Lloyd and Bon Iver, the teen has already shown glaring signs of potential superstardom. Add to this an unbridled enthusiasm for songwriting and a headline gig at the Bedford already under her belt, it’s safe to say that she’s got the world at her feet. Hi Lauren! Why don’t you introduce yourself to all those lovely people out there? Hello 🙂 My name is Lauren Aquilina and I’m a 16-year-old singer/songwriter from Windsor. You’ve said that you’ve been musical basically all your life, but where did the inspiration come from to start uploading YouTube videos? I was 13 when I did my first ever open mic night, and my mum came down to watch that evening and brought the video camera. I uploaded the video to my Facebook just as a kind of test to see what people thought (it was a cover of Poker Face by Lady Gaga) and it got a really good reaction, so I decided to put it on YouTube.. and just continued putting videos up. I used to watch other people do covers on YouTube a lot too, and was inspired by them. Who are your main inspirations in your personal life? I think my Mum has been the biggest influence. In my opinion, she’s brought me up to have all the right values, and taught me that there’s no better quality than being a nice person, which has really affected the way I live my life and the way I behave towards people. There have been a few people who have made my life hell in the past, but they’ve made me a stronger person in general too I think. Some comparisons have been drawn in the past between you and an owl. How do you respond to these accusations? HA. Brilliant. In some ways I am a bit like an owl, in the way that I prefer to be awake at night rather than in the day, and I have weird eyes. Someone on one of my videos told me I look like an owl, but that’s ok, I’d rather look like an owl than a llama. What have you been up to recently with your music? When can we expect your first release? I get asked this a lot, because people seem to be expecting me to put out an EP or something pretty soon. However, I’ve always said that for my début release, I wanted to do it properly. I don’t want to put something out unless I know a substantial amount of people are actually going to want to listen to it, and it’s the very best it could be. For that reason, it probably won’t be until late next year. I’m still very much trying to find my sound at the moment. How would you describe your musical style in 3 words? Erm.. Honest, melodic, relatable? (I hope). That’s the hardest question ever aha! Cher Lloyd recently posted your cover of ‘With Ur Love’ on her Facebook page… how did that feel? Bloody amazing. It’s one of those things that I never thought would happen, having my cover posted by someone with a following as large as Cher’s.. it was really surreal. I was in Bella Italia with my Mum when it happened, and I got so excited and wouldn’t put my phone down, and my Mum was just like ‘Lauren, I know you’re excited, but we’re out for dinner, please put your phone away.’ – Brilliant! There have been a lot of people who are suggesting that you apply for The X Factor. Is this something you would consider? Ah. I think about 80% of the comments I get on YouTube tell me to go on X Factor! Part of me is flattered by those comments, the fact that they think I’m good enough to get somewhere on that show, but in all honestly, those are the comments I hate the most. A lot of people have been brainwashed into believing that the X Factor and other talent contests like it are the only way for an artist to be successful in the music industry, and that isn’t their fault, but there are so many ways of becoming a successful recording artist. I don’t really agree with the way X Factor does things, and I wouldn’t be able to stay as a songwriter if I did go on it, which is the most important thing for me. Earlier this year, I met the wonderful bloke that is now my manager, and I finally feel like I might be getting somewhere? Who knows.. it’s far more exciting and rewarding doing it this way! 10. What are your three favourite albums of all time? Ooh top 3.. this is hard! This is the only album ever that I’ve been able to listen to all the time and never get bored of it. Ellie Goulding is a huge inspiration for me, and I just love the way there’s so many catchy melodies but the lyrics are still so meaningful. I love the sound of it too, the whole ‘electric/acoustic’ thing she’s got going on. I just bloody love it. This album reminds me of a really happy time in my life as well, which was around the time it was released, so that probably has something to do with it. 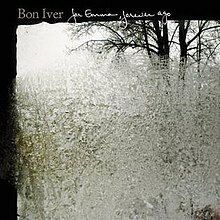 A lot of people know I am a huge Bon Iver fan, and this album probably made me cry more times than.. I dunno, I cried a lot.. but in a good way! All of Bon Iver’s music just makes me really feel something, which I think is what music is supposed to do. I can definitely relate to this album and I think I’ll always have a really strong connection with it. I have to admit, the first time I heard this album, I wasn’t completely sure about it, but it really really grew on me, and it’s the album I have playing right now! 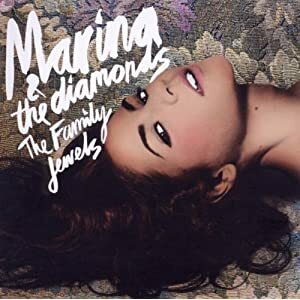 I love Marina’s honest lyrics about her desire for success and fascination with the American Dream, they’re reallyrefreshing, and the melodies are all really catchy and fun too. Kate McGill – Replaced, Coldplay – Mylo Xyloto, Stereophonics – Keep Calm and Carry On, Lissie – Catching A Tiger, Clare Maguire – Light After Dark, Ben Howard – Every Kingdom, Mree – Grow, Lady Gaga – The Fame. A big thank you to Lauren for doing this, she’s going to be huge! You can like her Facebook page or follow her on Twitter to keep up with all things Aquilina. Go.